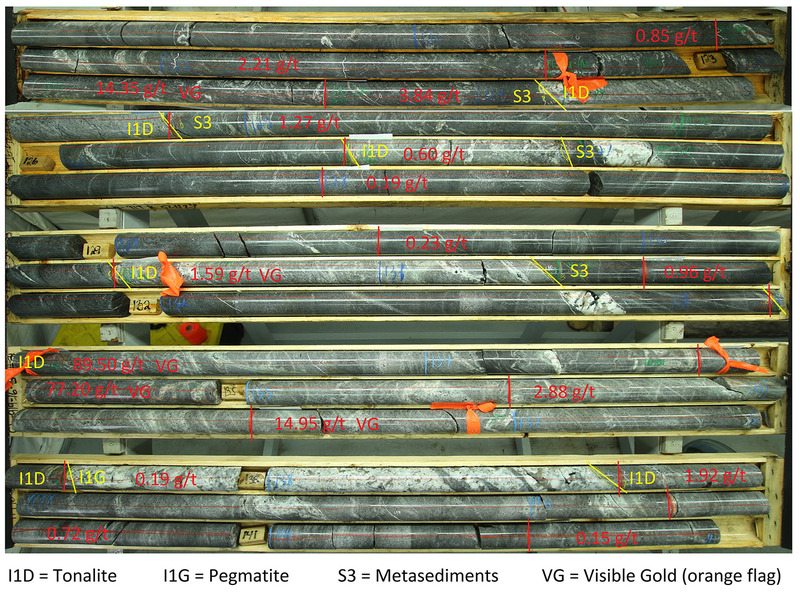 Drilling at Cheechoo Intersects 12.08 g/t Au over 20.3 Metres - Golden Valley Mines Ltd.
“Following observations of visible gold indicating potentially a significant gold zone in this drill hole, Sirios geologists extracted a series of drill core samples for priority assay. It shows, between 120 m and 140.3 m, a section grading 12.08 g/t Au over 20.3 metres including 48.38 g/t over 4.4 metres (uncut grades, true width unknown). The gold mineralization is distributed in both meta-sedimentary rocks and the tonalite, thus overlapping the contact of these two lithologies. Gold is associated with the presence of numerous folded millimetric veinlets of quartz-feldspar. 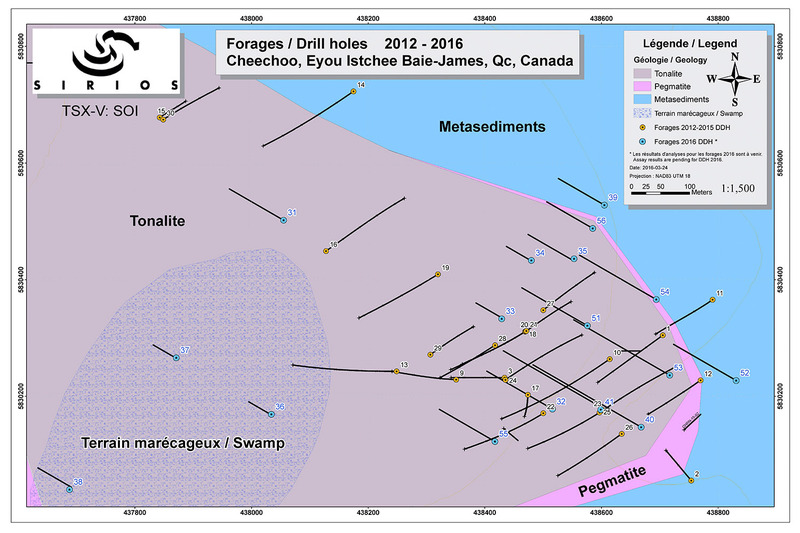 Only the section between 113.5 m and 147 m was assayed to date in this drill hole, results are detailed in the table below.